Industry veteran joins up with new business founded and backed by Andrew Thomas. 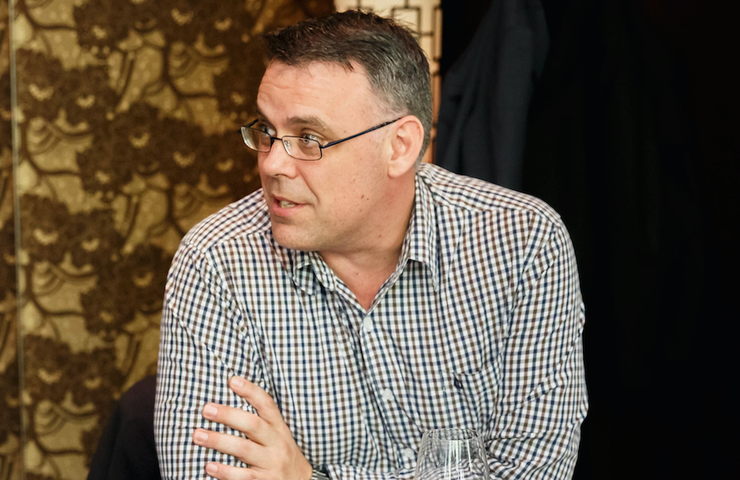 Richard Mitton has vacated his role as Oriel CTO at BigAir Group, with the industry veteran swapping telecommunications for the start-up scene. ARN can reveal that Mitton - who joined BigAir following the company’s acquisition of Oriel Technologies in November 2014, which was then bought by Superloop in December 2016 - has taken up the lead technology role at emerging business AtlasPlato. Founded and backed by Andrew Thomas - now a board advisory at Thomas Duryea Logicalis - AtlasPlato is a management consulting firm focused on developing data-driven organisations, specifically around business intelligence. “Richard has a tremendous reputation in our marketplace,” Thomas told ARN. “He is held in the highest regard by vendors, competitors, and customers alike. Throughout his 20+ year IT career he has helped countless organisations innovate through smart use of technology. Thomas told ARN that Mitton - as CTO - will be primarily tasked with “rapidly building out our founding team”, while guiding the development of the company’s earliest solutions offerings. “He will work with customers to solve their biggest challenges, and build vendor relationships to fuel our growth,” Thomas added. In drawing on over two decades of architecture and deployment of IT infrastructure, cloud computing and networks experience, Mitton has been a leading technical specialist in an array of technology areas which includes Microsoft systems and servers, desktop delivery, storage solutions, network switching, wide area networks, IP Telephony, security solutions and virtualisation. “I have worked for Oriel/BigAir for 15+ years and over that time have seen many changes and advancements in the infrastructure technologies that we have been implementing into organisations,” Mitton told ARN. “We are now on the brink of a new era of data-driven computing. New systems will be required to feed off the vast amounts of structured, semistructured and unstructured data which is now commonplace in most organisations. Before joining Oriel Technologies in 2001 as a principal consultant, Mitton worked across a range of technical roles in the industry, spanning Avnet Technology Solutions, Prolepsis Solutions, Integrand Solutions and Deck Computer Systems. “I am excited and driven by the opportunity to lead the development of AltasPlato solutions from the ground up and working with Andrew Thomas to bring them to the market,” Mitton added. For Mitton - in joining a flourishing start-up - key initial targets include establishing key solutions and offerings across the industry during the year ahead. “The landscape of IT in business is rapidly changing,” he added. “The data centres we have been building for the last 20+ years have simply referred to the physical and now virtual location of the IT infrastructure. After being officially created in April 2015, Thomas said the start-up primarily partners with customers from the public, private, and not for profit sectors, with plans in place to expand the team in the months ahead. “We will establish a founding team of 10-12, and from there growth will track sales success,” Thomas explained. Thomas said AtlasPlato will aim to “amplify the human capability of our clients”, helping them become data-driven, and in turn solving an organisation’s greatest challenges. “This year we will build the foundations to achieve $50 million revenue by year five with a corresponding $100 million valuation,” Thomas added. “We will assemble a group of the most talented data scientists and technology innovators to set the foundations of our culture, while beginning development of industry based solutions with a view to create a stable of IP.